3 face is the result of innovation and design of General Project. 3 face is a single unit for a complete face treatment with three synergistic technologies. It is used to correct early sign of aging skin, improve tone, texture, radiance and treat active acne. 3Face can be easily integrated with patient’s other skin care regimen. Its 16 preset programs make it extremely user friendly. The micro abrasion is performed with an especially orbital handpiece with mechanical micro-pulsations which abrade and massage the skin at the same time. Its interchangeable abrasive heads are coated in silicon carbide – a biocompatible, hypoallergenic material used to remove the stratum corneum and various layers of the epidermis. At the same time, micro-pulsations massage the skin, stimulating and toning facial muscles while improving blood circulation and making the procedure exceptionally pleasant for the patient. HBLM is a new technology and one of the main feature of the machine. HBLM produces continuous or pulsed high intense light. The light penetrates skin tissue at a depth and stimulates new collagen production and favors cell renewal. Based on the wavelength employed, three separate HBLM handpieces can be used for skin rejuvenation and acne treatments as well as to reduce skin blemishes for all skin types. Computerized massage handpiece is used with two easy interchangeable membranes and 14 different programs. 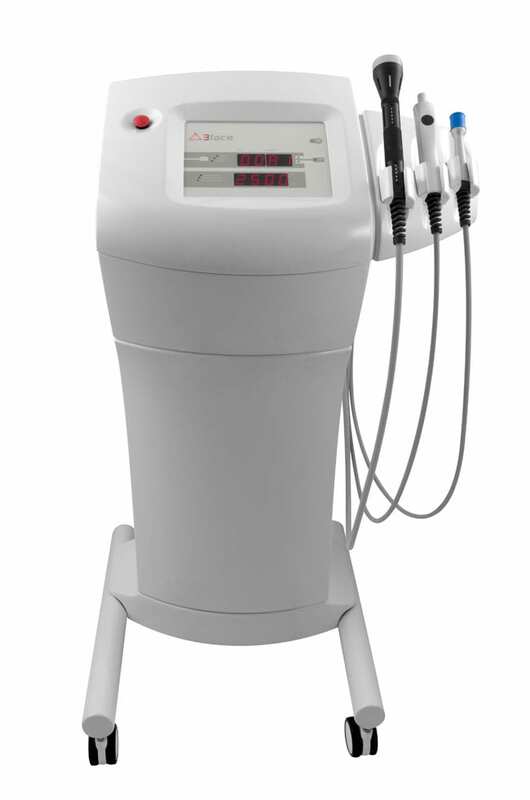 The pulsed pneumatic vacuum of computerized massage handpiece gently lifts, folds and compress the skin to increase local blood circulation. How 3face benefits your practice? How 3face benefits your patient? What can you treat with 3face?